Skull Candles. Because Why Not? 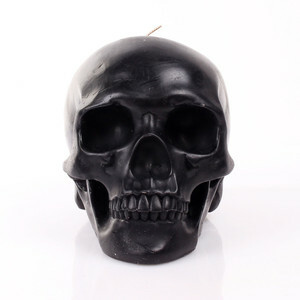 Add an edgy, gothy feel to your home with this black skull candle. Color more your thing? Lucky for you, the skulls also come in pink, red, orange, yellow, and blue. The skulls seem to be near life-size, so they’ll make a great conversation piece for a while, even after you start burning it. Skull candles, $45 at Fab.com.